In an age when the trend is to search for quick fixes, there are dedicated health care professionals who are creating a foundation for changing the nation’s healthcare system. Maribel Quiala, LCSW, has become a sought-after spokesperson with her thought-provoking commentary on critical contemporary health issues that challenge Latino and immigrant families. Her focus on advancing culturally appropriate health care services is gaining credence as critical for families that are bridging two worlds. Policy makers and healthcare practitioners are beginning to understand that services remain ineffective because they are unable to bridge cultural and language differences in the education and treatment process. Quiala is a diligent spokesperson in the fight to eliminate racial and ethnic health disparities. Latinos, Asian Pacific Islanders and African Americans suffer many diseases, obesity, and HIV/AIDs at much higher levels than the general population. Often under/uninsured, they are left on the outside, lacking access to culturally and linguistically appropriate quality care. Quiala advises that, “regardless of socio-economic background, health perspectives are deeply influenced by family values and body and health issues that are most personal and intimate.” She is deeply concerned about the continuing stigma of mental health among Latino families. She has committed to ending the taboo of mental health issues by bringing awareness and understanding — and helping Latino families navigate a very complex system of care. The current membership chair for Miami-Dade County’s NASW Florida Chapter, Quiala is on the board of Sembrando Flores HIV/AIDS ministry in Homestead Florida. 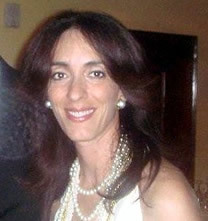 She was appointed by Commissioner Saul Gross to the Miami Beach Commission For Women. She is a field instructor for Florida International University School of Social Work and Nova Southeastern University and internship director at Ft. Lauderdale Hospital. She serves director and clinical consultant at FACTS Family & Children Therapeutic Services of the Children’s Resource Network of South Florida. She also consults for Family Court Services in Miami-Dade County as Parenting Facilitator. She was the spokesperson for the statewide HIV/AIDS Awareness Advertising Campaign and the Breast/Cervical Cancer Campaign, both targeting the Florida’s Hispanic community. The Leeza Gibbons Memory Foundation. Director of National Hispanic Caregiving Outreach She provides direction on programs that are specifically designed for Latino families, and served on the team that created two Hispanic sites in San Antonio. PhRMA (Pharmaceutical Research and Manufacturers of America)/National Latina Health Network. Team member of the national pilot program launching innovative Latina-led health initiatives. A featured guest on television and radio, Maribel has appeared on local, regional and national television and radio shows including: CNN Latin America, Univision and Telemundo, providing to professional insights on mental health issues, tobacco and alcohol use and other critical health issues among minority populations. Among the topics she covers are: adolescent suicide, postpartum depression, parenting guidelines and time-sharing issues for divorced parents, holiday stressors for families, breast cancer awareness, HIV/AIDS and youth, LGMF, and Hispanic outreach, caregivers, parents and adolescent dating, and increasingly aging populations. Her columns on the NASW website cover such topics as: responsible parenting, HIV/AIDS awareness, and violence against women. Selected to National Hispanic Leadership Institute Executive Leadership Program and attended Harvard Kennedy School Executive Education. Selected to Who’s Who in America (61st Edition). Maribel graduated from Seton Hall University with a bachelor’s in psychology and music and was named to Who’s Who among Students in American Universities. She earned a master’s degree in social work at Barry University. She is fluent in English and Spanish. Quiala was recognized by Florida International University for outstanding service and support towards reducing health disparities in substance abuse and HIV/AIDS among Latinos, Mujeres Dinamicas American Cancer Society for her tireless work with women who have cancer and assisting Latinas in reviewing their options, treatments, advocating for them and getting them services. She was featured in El Nuevo Herald 06 for her work with the Latino Community. Biography and photo courtesy of Maribel Quiala.